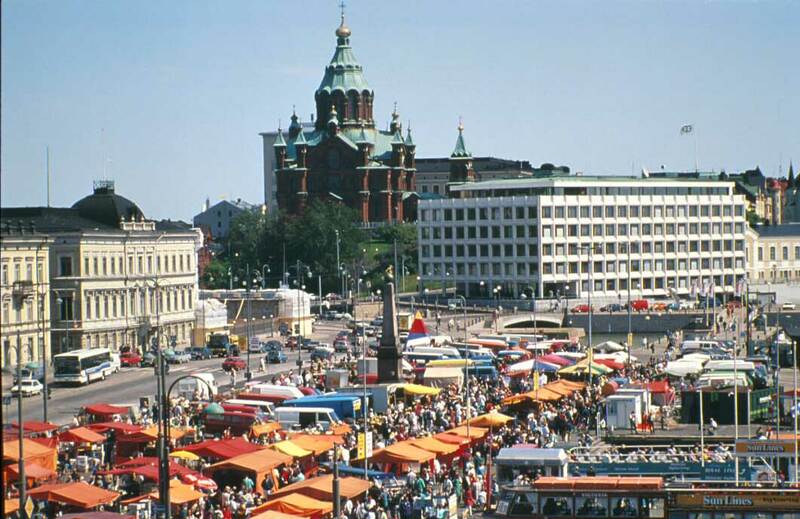 The most popular outdoor market square in Helsinki. The orange roofed sideshows fill the square between the presidential palace and the sea and create the nice athmosphere together with the crowds of locals, tourists and vendors. 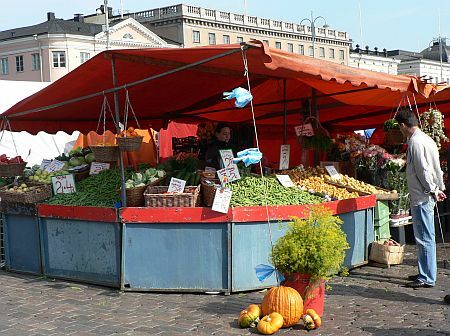 The vendors sell fresh fish, finnish food, souvenirs and handicraft. You can also have a cup of coffee and a bun in one of the outdoor cafes. From here you can also take the day cruises to view the Helsinki archipelago. Just walk east along esplanadi or along Aleksanterikatu to reach the square. Also trams 3T and 3B have stops right next to the square.